This item holds one DVD disc. 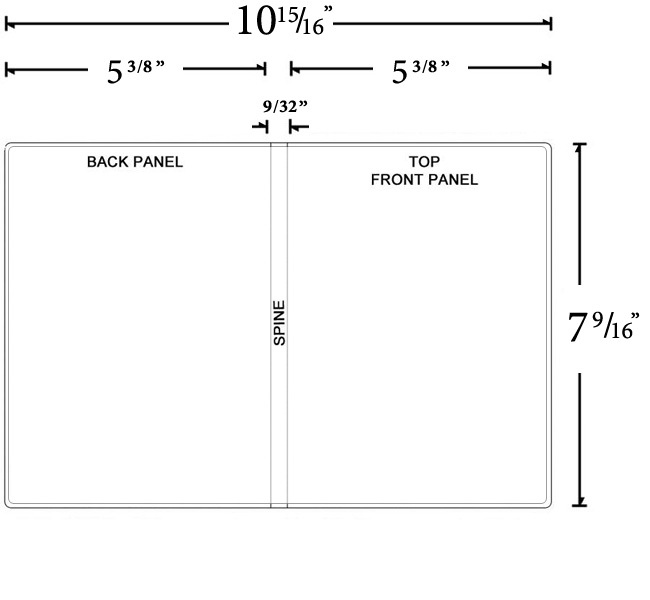 7 9/16" x 5 3/8" x 9/32"
A total of 30 reviews have been posted. I have been ordering these cases for 3 yrs now & items always delivered quickly & undamaged. My last order of 200 cases had 38 broken cases. 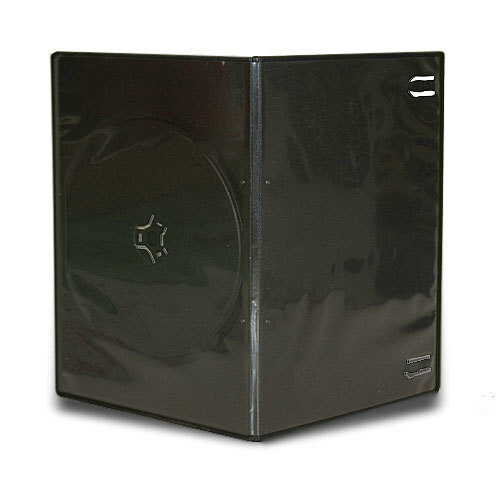 I normally love these cases because they are so thin and leave more room when storing dvd's in a space conscious setting. The problem I have with these in particular is, the last batch I purchased from shop4tech, the plastic sleeves were thin and some of them were partially detached from the case itself. 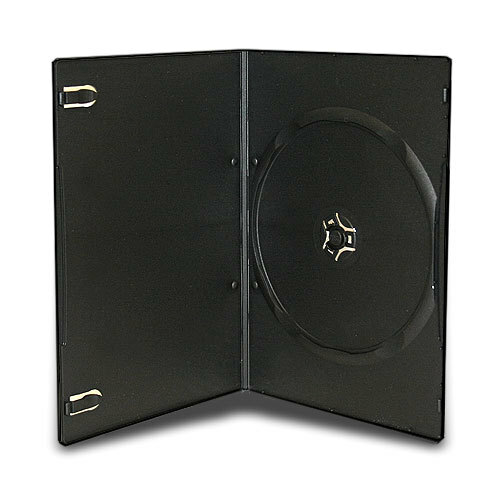 Also, once a DVD disc is initially placed in the case and the center hub snaps it into place, usually one of the little tabs holding the disc will break off so that upon removing the disc and reinserting it, the disc will fall out of the case from then on. 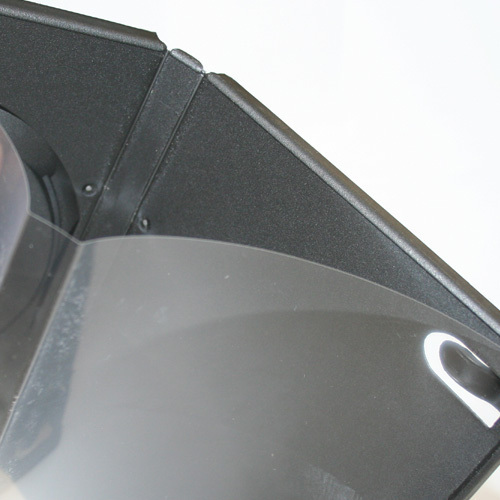 I have only found ONCE from a different manufacturer where the plastic sleeve was a bit thicker than sandwich bag grade and it was adhered to the plastic case very well. I have not been able to locate those specific cases for some time now. And because they are packed in the box so tightly, upon shipment, some of the outer cases will become broken and with this last batch I threw at least 5 of them away because they were broken beyond trying to use them. Other than that, I will use them but I wished I could locate a much more quality brand like I found ONCE. These DVD cases are great. I have gone through 3 boxes of 100 already and I have not had even 1 defective case yet. 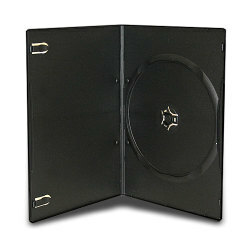 I recommend these DVD cases for good quality at a low price. These are great haven't ever had a broken one yet. Have order others and got them broken. But not from this company. I work for a nonprofit agency that works with disabled and developmentally delayed adults. Throughout the year, I take pictures of them working and attending social events. At Christmas, each of them receives a DVD photoshow with the past year's pictures. This has become quite a tradition. I love, love, love this product. It allows me to make a cover with pictures. The case is sturdy and well done. Love the slim design too. Hope you always carry this great product! Works great for the price I paid. The DVD cases works fine. They are not like those super nice cases used by major studios for original DVD movies. For me, they work just fine. The DVD discs holds well in place and the case closes just fine. PURE JUNK!! Upon getting the 100 I ordered, 54% of them broke when I opened them for the very first time. The tabs that hold the case together broke off on 1st opening and they fell to the floor. Leaving one side (top or bottom) unable to close back up. This happened on most, on some of the others the spine completely ripped down the middle. In fact, on the few that were usable, you could see that when you open it, one part of the spine's hinge gives way but the other side stays firm, causing the other to bend out of proportion. These are of the CHEAPEST quality and being a case buyer from many competitors, I have to say these were the worst I've encountered. Do NOT waste your money unless your comfortable with less then 1/2 being somewhat useable, and maybe only workable for a few more uses. Only 2 of 100 had broken latches, the latches seem to hold, but the cases were pretty warped ... the exterior plastic cover seemed sized too small. The middle buckles open, but on the shelf, they hold up okay. 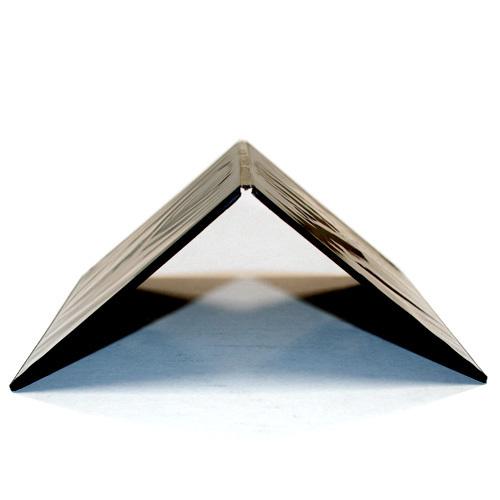 The 9mm double disk sleeves hold up better, overall. Super fast shipping and quality items, however, the smell of these cases is so awful, it's near unbearable. I was stacking them away and then later I moved a few around and I had to wash my hands both times, as I had the odor all over my fingers. I'm hoping these aren't toxic. They work really good...i got them a few times but the weird thing is the very first 100 i got worked perfect, even the plastic was stronger. Then after that every time a got more they dont work as good, meaning they close good but the hub inside that holds the disc, holds them kind of loose some more then others. Overall they good!...Did anybody have that same problem too? I ordered a couple of hundred of these cases and consider them to be mediocre at best. When they manufactured them they had a design flaw with the latches that hold them closed. Also the disks aren't secured real well on the inside of the case as I have had a few come loose and get scratched due to them moving around on the disk sprue. Everything else I have gotten from Shop4Tech as been fantastic, these just fall short. These cases are an excellent value. I purchased a box of 100 and have not had any problems yet of the 20 or so that I've used. No broken cases in shipping and no problems with the latches. I noticed other reviews that mention the latches as being a problem..maybe they changed something on them because they work great. As others have said, they do smell funny. Reminds me of a campfire. The material is a tad on the thin/flimsy side. The button is great. 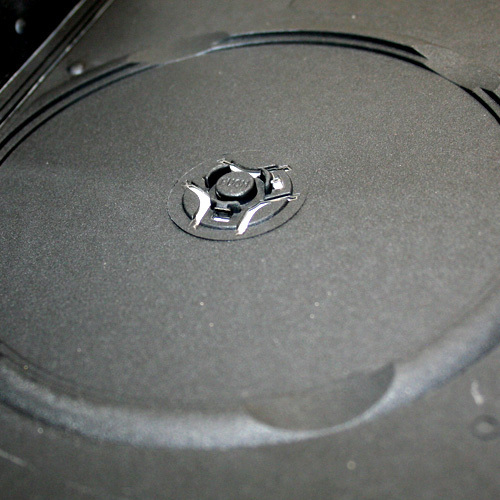 Very easy to remove the disc without bending or breaking it. Been using undercoverxp to print the covers that I download from cdcovers.cc and the end results look great. this product is great, shop4tech did a great job in packing and shipping and it got to me faster than i expected. very sturdy and a nice slim design so it doesnt take up as muchspace as the big cases.